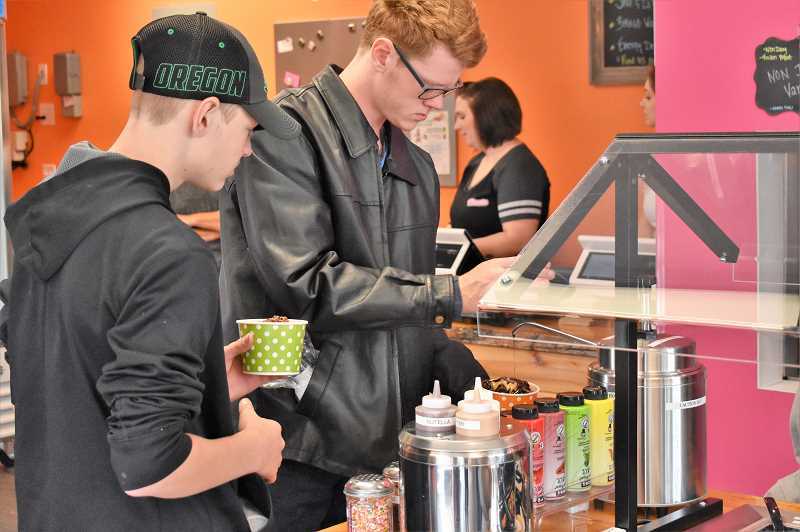 Things in Estacada became a little sweeter when Yo Treats Frozen Yogurt celebrated its grand opening last weekend. 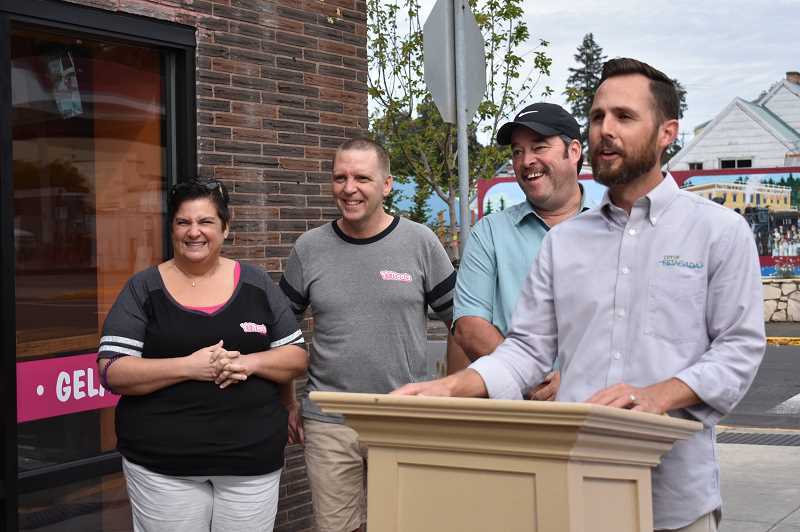 On Saturday, Sept. 15, the Estacada Chamber of Commerce was host at a ribbon cutting at the new shop on Main Street, and the first 20 people in attendance received a free water bottle and sticker. Yo Treats marks the first completed project in which the city purchased a building with Urban Renewal funds, renovated it and leased it to tenants. Clackamas River Outfitters will also occupy the remodeled building. During the opening ceremony, Estacada Economic Development Manager Matt Lorenzen described the project as "ambitious." "Not very many small towns in Oregon would consider buying, renovating and leasing a property to bring business to the city. My hat is off to the mayor and City Council," he said. Mayor Sean Drinkwine added that "this is a great moment." "We've been waiting forever for a yogurt place in this town," he said. 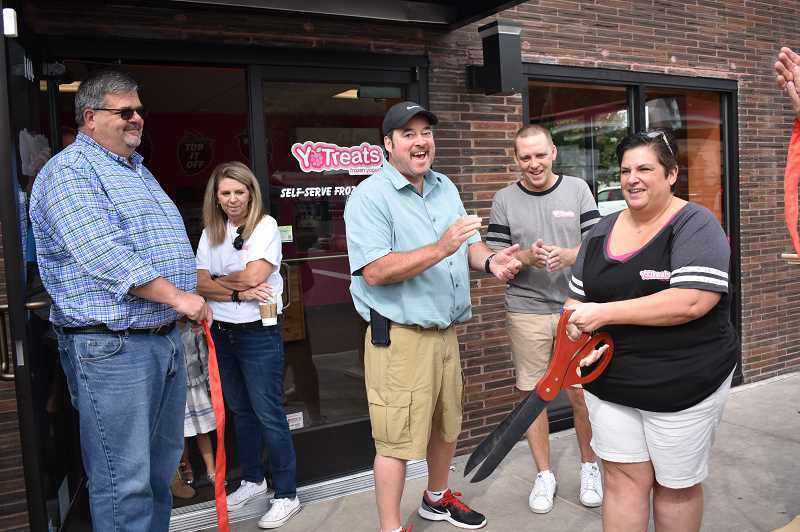 Yo Treats is at 401 S.E. Main St. and offers 10 flavors of frozen yogurt, along with the option of mixing them together.